Well what a season that was! We live in a land of booms and busts, and that folks was a boom. At least the first five months of the season were. The past two months have been decidedly more reserved. 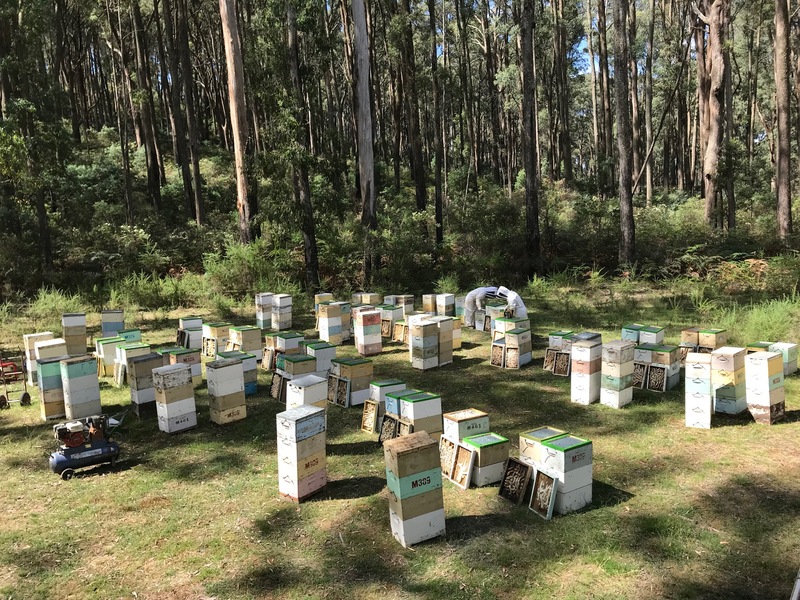 Bees came out of winter generally in pretty good shape and slightly more stable weather in September than is usual coincided with ground flora, red box and late red iron bark yielding nectar very well. As the weather continued to warm up and stay fairly humid a succession of eucalypts proceeded to ‘turn it on’ in a fashion they have been reluctant to do for many years. Hill Gum, Yellow box continued on from red box and then river red gum yielded good pollen if not nectar. 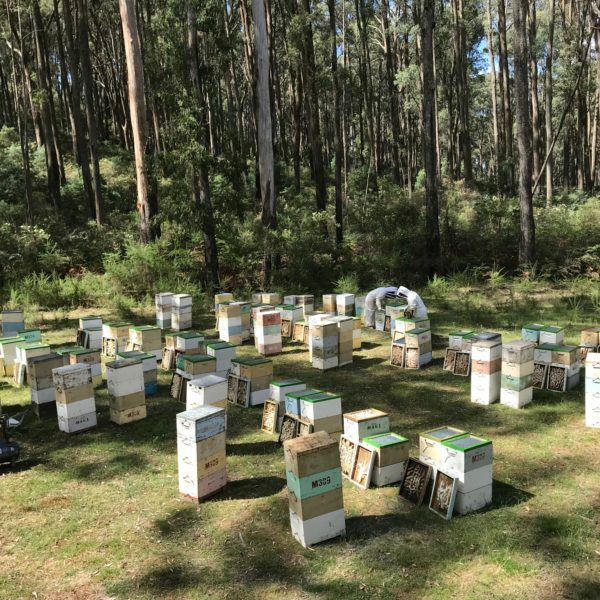 A short break over Christmas then led into a substantial honey flow on narrow leaved peppermint and blue gum with some patches of brittle gum and messmate following on. Elsewhere in the state it was a similar story with different species involved. Keeping bees from one year to the next you become aware of just how integrated the cycles of life are. Two years of reasonable rainfall replenishing deeper groundwater reserves, general growth and budding of eucalypts in late 2016/early 2017, modest nectar production but good nutrition in the late summer of 2017, a dry June and then mild and humid conditions this past spring all played their part in forming a memorable season. So, what’s ahead of us now? 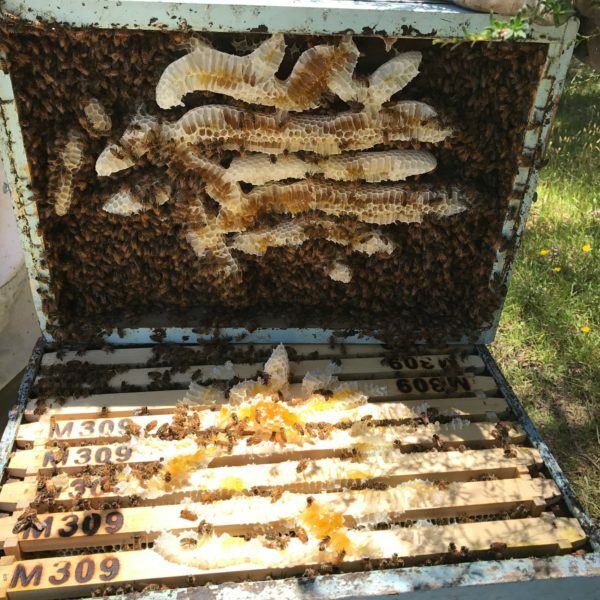 Bees are now generally carrying plenty of quality pollen stores and though there has been little nectar yielding anywhere for 6-8 weeks hives are still heavy with stored honey – provided you did not extract it all in the summer! 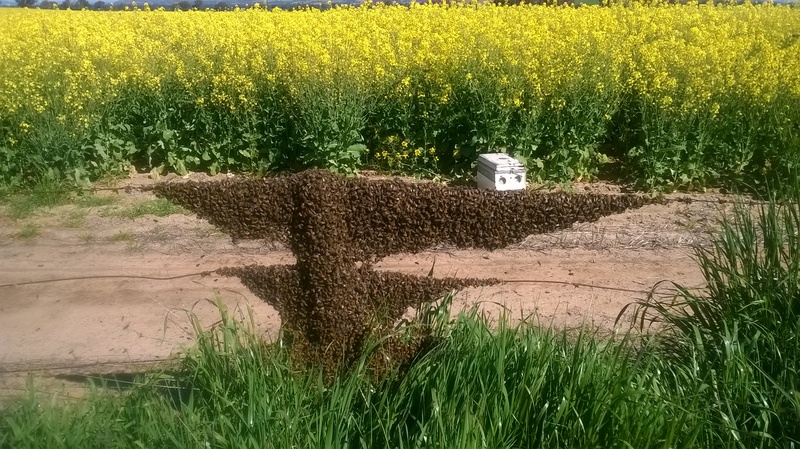 The warm and dry conditions are helping to ensure that energy consumption is low and so left alone from now on bees should generally winter well. 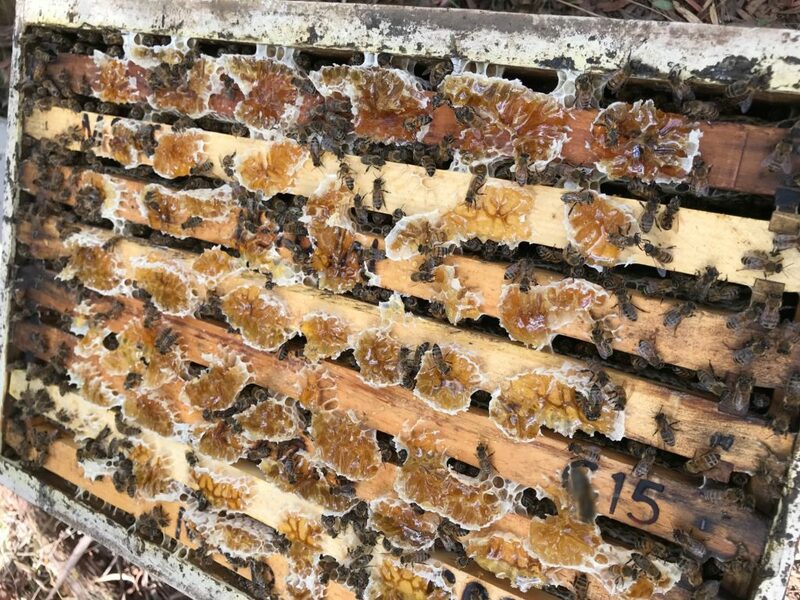 If you are concerned about the low weight of some hives, the current weather conditions make feeding of 1:1 sugar syrup a worthwhile prospect. Fed in quantity to encourage storage not breeding will help secure colonies that are a bit light. 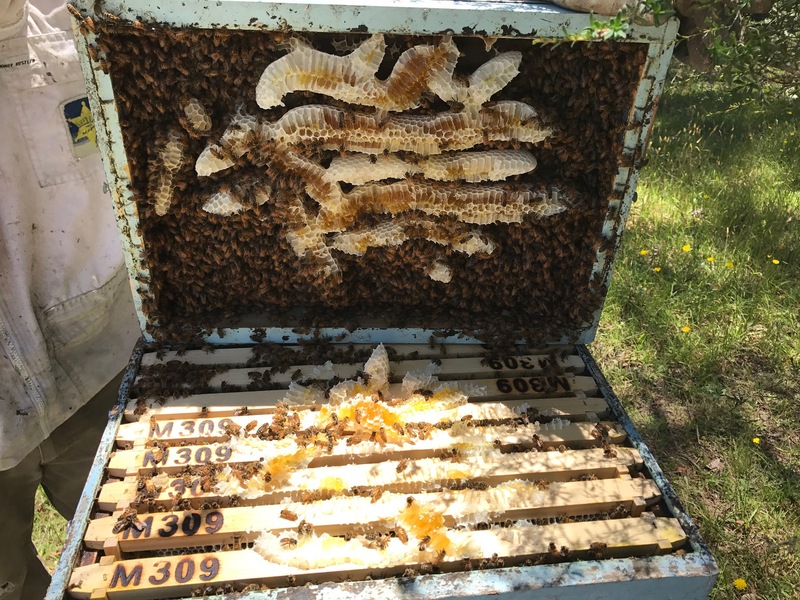 For more detail on preparing your hives for winter take a look at our Autumn Packdown notes. Seasonal forecasts are pretty coy about future rain prospects and most old hands are of the view that we are somewhat overdue for a drought. As a loose guide most eucalypts are not expected to back up one heavy years production with another [though there have certainly been exceptions] so all things considered, a conservative approach to the coming season would be advised. 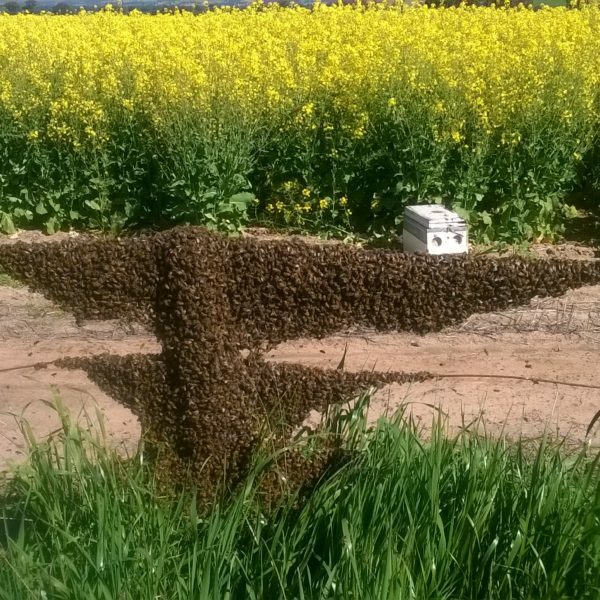 But as the bees will teach you – a good beekeeper must be prepared to respond to opportunities or challenges swiftly!